We all know that employers do not like uncertainty in their business plans. It makes it hard to develop a strategy and run any business. 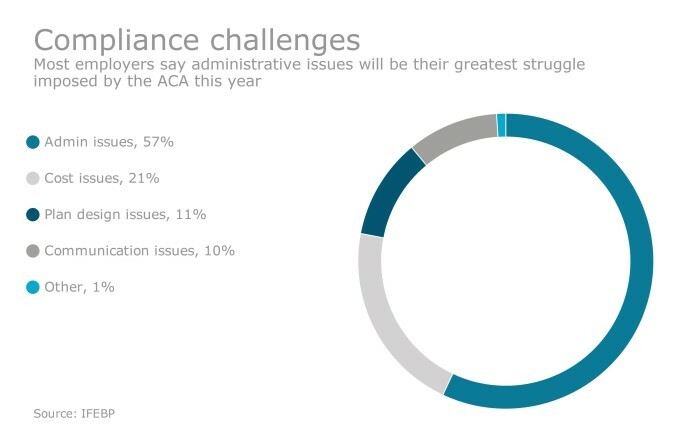 Since 2010 with the full-throated implementation of the Affordable Care Act (ACA) it is apparent that the one constant during the summer months is that employers spend a tremendous amount of time and energy attempting to understand how to adjust to the future. As employers begin their process of planning, budgeting, and forecasting employee benefit program costs for the remainder of 2018 and 2019, it appears we are yet again filled with uncertainty. There appears to be yet another legal challenge to the constitutionality of the ACA. With the recent addition of three Midwestern states signing on to Texas’s challenge this now results in 20 states challenging the constitutionality of the law. At issue is the Individual Mandate Penalty. The theory is that implementation of the 2017 Tax Cuts and Jobs Act eliminated the penalty associated with the Individual Mandate. With the elimination of the Individual Mandate, the Supreme Court decided on a 5-4 basis that the penalty tax is not applicable. What does this mean for the remaining elements of the ACA? What does this mean to employers? It means that the potential exists for another round of legal challenges, and this creates uncertainty, which creates challenges for employers to plan in the future. · How are comparable employers defined? · How is geography defined when forming an association? Does this include forming across state lines? · How will the federal and state agencies responsible for oversight work together within the administration of the rules? More specifically, who has legislative authority? · Multi-Employer Welfare Associations (MEWA) have been around for a number of years and states have varying degrees of acceptance with respect to their formation and operations. For example, if an employer in one state would like to join an association plan in another state and they come from the same industry (assuming the comparable employer provision is met) – is this permissible? Again, the uncertainty of this law creates concerns for employers and it is difficult to plan, budget, and forecast for the remainder of 2018 and more importantly 2019. Employers do not care for uncertainty in their planning.